These boards are all rockered nose-to-tail and flat rail-to-rail. The rocker gives each rider a lower center of gravity and also slightly angles the trucks. 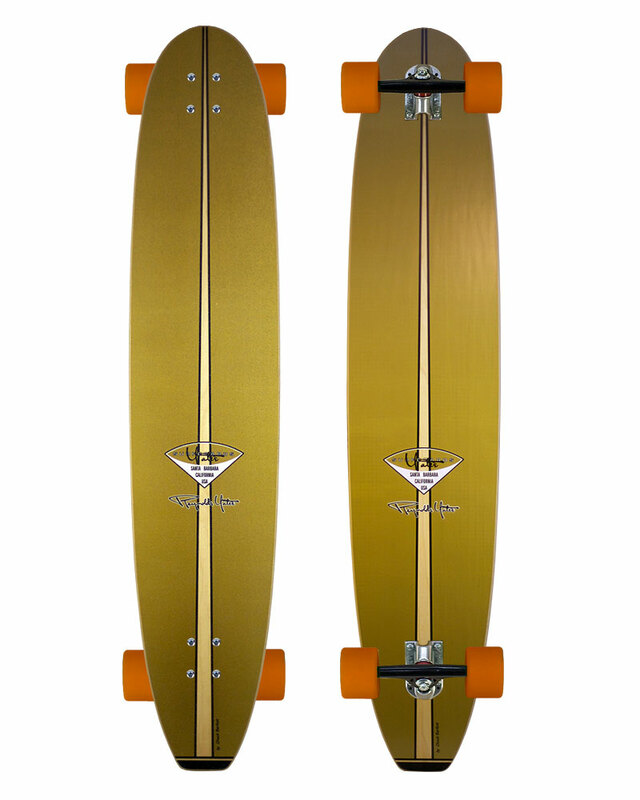 This allows the board to turn tighter and gives you a very similar feeling to surfing or snowboarding!